From the reigns of the dominant Vedas appears a distinct knowledge of understanding of human health and diseases. Called as Ayurveda, it grew and flourished into the science on how to bejewel your daily life with didactic practices on a healthy lifestyle. teachings called “Sutras”. The text is written and handed down by Brahma was a compendium of a hundred thousand slokas on ailments and health. Though the original version of the text is long lost, various authors through their own rendition and practices have passed on this knowledge as oral (Shruti/Smriti) or written traditions. Susruta Samhita, dealing with surgical tenets but also with medicinal wisdom in its tortuous and voluminous writings, was written by Susruta around the same time as Charak’s compendium. However, several revision and amendments later the original text is lost but what remains grants us a deep insight into cutting and closure of the human body without harm. Surgical rhinoplasty and cataract surgery trace its roots among the teachings of Susruta. Jivaka, who was a royal physician of King Bimbisara, was trained and educated in Takshashila (Taxila) University. Jivaka functioned around late 5th century BC as supervisor of the health of Gautama Buddha and his followers. Jivaka was an adept physician but also was a revered surgeon. Gautama Buddha allowed for surgical procedures under Jivaka, except for the cases of fistula – for which medical treatment was to be prescribed. Jivaka famously quoted “no plants are without medicinal benefits”. The next major addition to the knowledge of Ayurveda came through the writings of Vagbhata. His two texts “Astanga Sangraha” and “Astanga Hridayam”, written around 7th century (a millennium and a half years after the works of Charak and Susruta); it provided a much-needed rejuvenation and vitality to Ayurveda. His works revolve around the axioms of assimilation of prevalent knowledge, deriving, ridiculing and then adding what was missing to the already exuberant awareness of human well-being. The study of philosophical, structural, functional and medicinal facets of Ayurveda is thus cumulative, unlike what STEM fields are, where the truth is non-constant.In the trio of Charak Samhita, Susruta, and Astanga Hridaya we find the entire understanding on healthy lifestyle and diseased states along with its pathogenic, diagnostic and therapeutic aspect. Thus, these three books are aptly named “the Brihat Trayee” – “the Big Three”. In contrast, the books which gyrate around individual subjects like diagnostics or pharmacology, despite being numerous, the trio of Madhav Nidana, Sharangadhar Samhita and Bhavprakash nighantu stands out among all others. These three are named “the Laghu Trayee” – “the Little three”. Despite what the name suggests these three are the go-to compendiums when conferring on the topics of disease diagnostics, pharmacology, and pharmacognosy. Madhav Nidan dates around the 8th century, Sharangadhar Samhita around the 13th century and Bhavprakash nighantu around the 16th century. The Europeans brought to India syphilis which was first described in Ayurveda in Bhavprakash, under the name of “foreigner’s disease” in honor of the Portuguese, who imported it. Ayurveda in its entirety is not a medical literature; it ascends well beyond any specific classification or identification. It is rather a prescription of lifestyle and health, or as Nordstrom puts it: The basic philosophies of Ayurveda provide a series of metaphors that are applicable to any major conceptual system characterized by balance and disorder, health and disease. 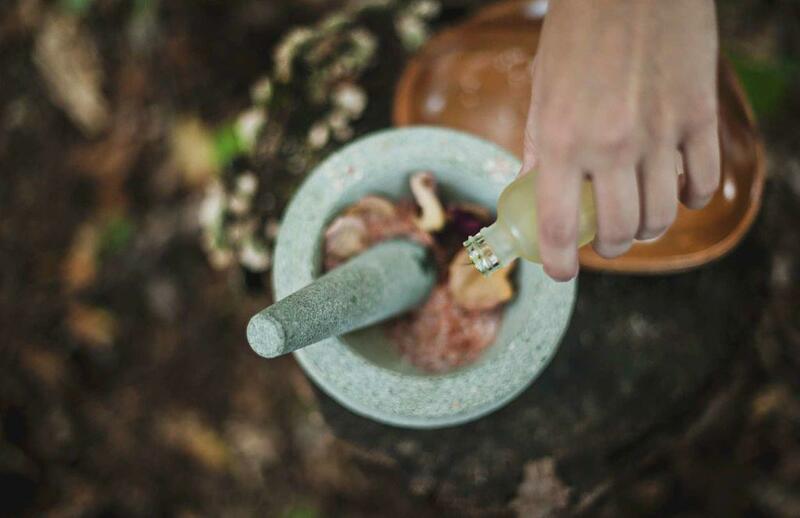 Thus Ayurveda does not exist simply as a medical tradition, nor is it confined solely to the discourse of medicine. On one level, this popular body of knowledge provides a mechanism for integrating the various traditions of health care into a coherent encompassing framework for patients. In addition, the impact of Ayurveda extends beyond issues of illness and health … to provide anexplanatory framework capable of synthesizing the many facets of Sri Lankan life, and concepts drawn from the body of theory are used to explain that life itself.